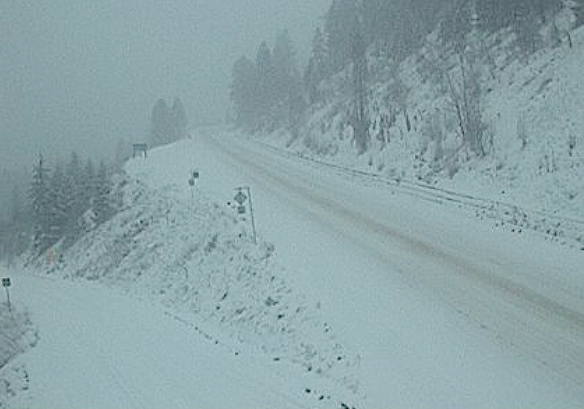 Environment Canada has issued a Snowfall Warning for Highway 3, Paulson Summit to Kootenay Pass. Environment Canada said afrontal system currently over southern BC will continue to give heavy snow to the Kootenay Pass Tuesday. Anyone driving Highway 3 should be prepared to adjust their driving with changing road conditions as visibility may be suddenly reduced at times in heavy snow. Weather in the mountains can change suddenly resulting in hazardous driving conditions. ShiftIntoWinter.ca reminds drivers to know before you go. Adjust to winter driving behaviour and use winter tires and chains.